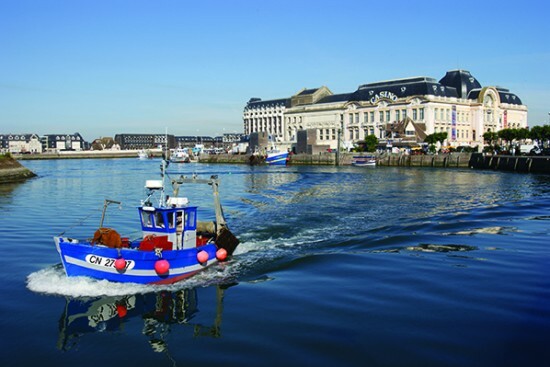 Deauville: We recommend five places to visit in Lower Normandy’s chicest holiday destination. The seaside resort of Deauville is known worldwide. Situated in Calvados (Basse-Normandie), Deauville is renowned for its architecture which combines styles from the ancien régime, Belle Époque and années folles. Whether you wander along the beach or pass the gates of its Casino, the charm of Deauville will enchant you and make you feel like a movie star on holiday! 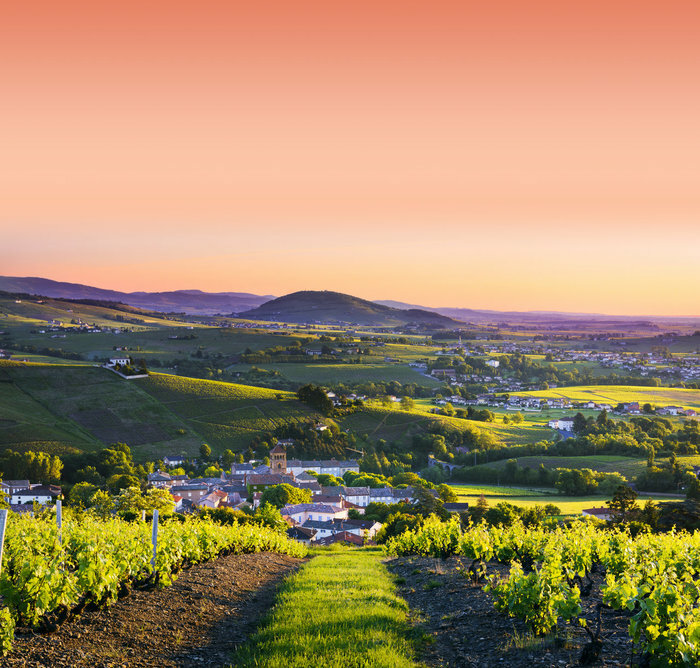 A little trendy paradise 200 kilometres from Paris, it has an irresistible French panache and eccentricity. Here are our top five unmissable sites to visit in Deauville. In the neighbourhood of Coteau, this charming chapel is named after Deauville’s patron saint. The Saint-Laurent Chapel is a classified Historic Monument and has undergone restoration work with the participation of the couturier Yves Saint-Laurent. Overlooking Deauville, it offers a complete panorama of the whole city. Inside the chapel, you can discover a vault dating from the 12th century and arrow slits that give away the building’s past history as a rampart. In Deauville, you don’t only get to feel like a celebrity while walking along the beach – you might get the chance to rub shoulders with real movie stars! Each September since 1975, Deauville has organised its own American Film Festival, a leading event in the world of cinema. Over 10 days, famous actors and directors come to court a reward of the festival. Sharon Stone, Clint Eastwood, Nicole Kidman, George Clooney… all of them have walked through the Centre International de Deauville in honour of this event. The 41st edition will take place on 13 September 2015. 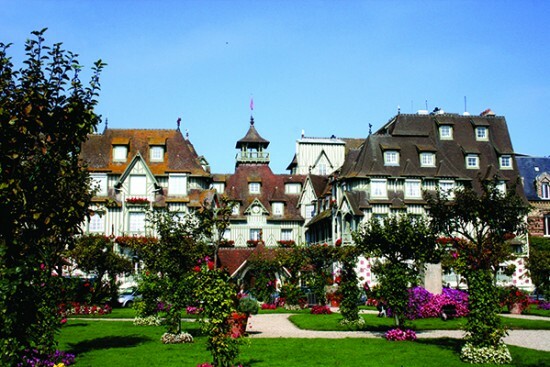 Deauville’s perfectly represents French flair and elegance. You only need to walk on the famous promenade Les Planches to get in touch with the atmosphere of the années folles. Built in 1923, Les Planches is a little sunset boulevard à la française under rainbow-coloured umbrellas, displaying the names of each American actor and director that has participated in the American Film Festival here since 1975. Enjoy the seaside views from Le Bar du Soleil, an Art Deco-style beach restaurant. Don’t miss the Bains pompéiens and its sumptuous mosaics near the beach, built by Charles Adda in 1923. Deauville’s equine passion dates back a long way – it is said that the Duke of Morny who urbanised Deauville in the 19th century gave preference to hippodromes over churches. Nowadays, the city offers visitors the chance to watch thoroughbred horse races in the Hippodrome de La Touques or show jumping at the Hippodrome de Clairefontaine. Both provide pleasant restaurants and guided tours. French elegance reaches new heights in Deauville’s Casino Barrière. Built in 1912 by François André, this classical-style building is today owned by the Lucien Barrière Group. The Casino is situated just in front of the beach and next to the city centre. Inside you can try your luck at slot machines, French and English Roulettes, and Black Jack. In these luxurious surroundings there is also a theatre, cinema, discotheque and three restaurants. The Salon des Ambassadeurs frequently hosts gala dinners during the film festivals. And did you know that the famous French criminal Jacques Mesrine held up the Casino in 1978?